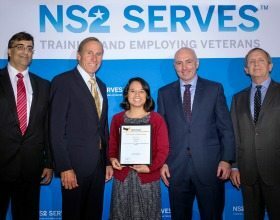 It was announced by Rockville, Md.-based SAP National Security Services (SAP NS2) that 22 veterans graduated from the fourth class of its NS2 Serves training program. The NS2 Serves is a program designed to give back to the community it serves by training and employing veterans in high-tech careers. The individuals that graduate with the Certified SAP Associate status attain a certification that is valuable in many career paths. These individuals receive placement assistance for work in the national security field and in various other business environments. The NS2 Serves program educates veterans in the areas of business and leadership training, communication skills development and information technology. Seventy-Eight veterans have graduated from this program since 2014. Of these seventy-eight all have begun careers that earn a median salary of $65, 000 at companies such as IBM, Lockheed Martin, Unisys, Accenture Federal, CSC, HCL Technologies, SAP NS2, USDA and others. 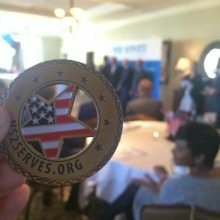 Applications are now being accepted for the 2016 NS2 Serves training program which will take place at the National Conference Center from Tuesday, March 8, 2016 through Friday, May 27, 2016. To apply for the program, learn more about NS2 Serves, or make a tax-deductible donation to help empower and employ veterans please click here.